In Joshua chapter 4, the children of Israel were commanded to build a memorial of 12 stones at the Jordan River as a reminder of the BIG thing that God had done for them in parting the waters yet again. Every time the people saw those stones, they recalled that day and their big, BIG God. This picture stands as one of the many stones in my life. A visual prompt to help me remember God's faithfulness. I snapped it a few weeks ago as I dropped my daughter off at an algebra class being taught by a fellow homeschooling mom who just happens to be one of my besties. 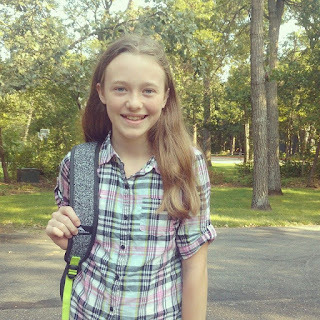 She loves all the numbers and has been excitedly sharing her passion with a small band of homeschoolers these last few months. As I dropped my Sweets off and drove away, I teared up. Even before I left the driveway, I was in a full-on ugly cry. But not because it was my daughter's first time taking an academic course apart from me. There's already been plenty of moments of all of that. But because ten years ago, I timidly voiced a prayer. Although my daughter was only a preschooler at the time, I knew she'd grow up and someday need to learn algebra and all the rest. Numbers and I have always had a blood feud and I knew, even then, that I'd need God to do something big in our homeschool to get me through. I didn't know how or when He would fill in the gap, but I knew that He would. I knew that if He called me to do something, he would provide the means to do it. I just had to obey and homeschool bravely knowing that His plans for her included my allergy to math. Two years ago when she scored way above grade level on the math portion of her achievement tests once again, my prayer began to change. I was no longer praying that God would fill in my gaps, but that my abilities...or lack thereof...would not hold her back. His answer came in flesh this year...the very year she was slotted to start algebra. His BIG came by way of my friend, who volunteered to welcome my daughter and others into her home several times each week to talk about X (and all other letters that have no business being associated with math...in my humble opinion, anyway). She's had plenty of opportunities to have different teachers over the years. 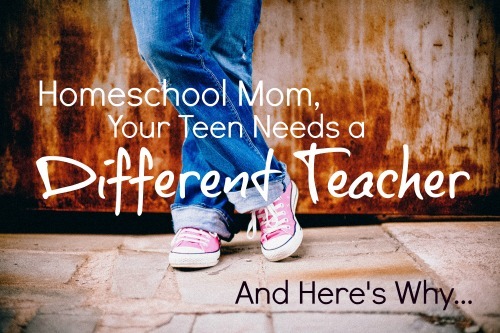 Because I think homeschoolers, MOST homeschoolers but especially tweens and teens, need to have a different teacher other than mom from time-to-time and here's why. A different teacher can cultivate accountability. Let's face it, as moms, we can sometimes let things slide. We can accept shoddy work. We can let our emotions and the empathy we have for our kids get the better of us. Not always. But sometimes. Inviting a different teacher into the mix - in the form of another mom, a mentor, or an online instructor - cultivates accountability. When my daughter is given an algebra assignment from my friend, she's also given a HARD and FAST due date. She knows that there will be no extensions, no do-overs, no bent rules. The assignment is due and will be graded in red. Having a different teacher to answer to each week is slowly preparing her for the REAL WORLD when mom can't always stretch the bottom line. A different teacher ensures that a child learns to learn differently. We, homeschoolers, fling words like "learning style" and "tailor-made education" around like empty promises made during an election year. While I think I can cater to my daughter's educational learning style and abilities, I don't think I always should. I think that in doing so, I'm setting her up for future failure because life does not often operate under the umbrella of perfect. She needs to learn how to learn in a way that is difficult for her...in a way that goes against her natural bent...in a way that forces her to stretch her other learning styles...so that someday when she has to answer to a college professor, a spouse, a boss, a fill-in-the-blank that approaches things from a different perspective, she can navigate the "different" well. A different teacher provides expertise and passion. Numbers and I just don't play nice. It's a fact. But, should I allow my inabilities and weaknesses to define my daughter's education? Absolutely not. I want more for all of my kids than I am able to provide. 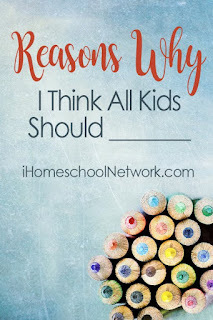 Homeschooling does not mean that I have to know everything and teach everything. It just means that I get to choose how, when, and where the learning happens. A different teacher equals a different opinion. All too soon, I will send my daughter out into a world which will shout all-the-taboo at her and call it "normal." I want her to be able to tell the truth from the lie...to steer through the muck with discernment. That being said, I can't just wait until her eighteenth birthday to teach her HOW to think. I have to start now. I have to daily seep her in the genuine, but also slowly trickle in the counterfeit. While introducing my daughter to different teachers, I'm also introducing her to opinions that are, at times, contrary to my own. She gets to struggle through these difficult scenarios within the safety of my home, so that one day when she has to swim up-stream ALONE, she can do so with firm convictions and resolve. A different teacher means mom can play cheerleader. As a homeschool mom, I can make a lesson out of e.v.e.r.y.t.h.i.n.g. It's part of the job description, I suppose. But, sometimes, my daughter just needs me to be plain ol' mom. Not teacher. Not instructor. Not agenda keeper. She just needs me to be a safe place to land. My relationship with her is so much richer and more layered when I lay aside my checklist-of-all-things and just cheer loudly from the sidelines once in a while. Welcoming other teachers and mentors into her life has allowed me to play a softer role. And she needs that mother-daughter shift every now and then. A different teacher can breed independent learning. One of my many end goals in home education is to inspire independence; to produce children who love to learn and who can do that with or without me. In slowly releasing the control of her education to another mentor, I am also slowly releasing my daughter to learn apart from me, to learn independently. She's very smart, but like most kids her age, she's not a didactic genius. She will always need someone or something a little further on the journey to direct her steps towards a new thought. She will almost always have to learn from a source outside of herself...a book, a video, an expert. So, I have to help her LEARN how to seek good sources by providing her with a few of them while she is still under my roof. The waters parted this year when I dropped my daughter off for her very first algebra class. I know that she'll make it safely to the other side of the sea of numbers...WITHOUT ME. I don't want to ever forget how God provided bigger and better than I ever could have asked or imagined from my timid prayer voiced so many years ago. So, here's my stone. Because sometimes homeschooling is more about transforming than informing. Sometimes it's about an education apart from me. Sometimes it's about a different teacher. Food for thought! I know my boys are way more worried about impressing their guitar teacher, swim coach, and choir instructors than me, for sure! You're welcome. It can't always be tailor-made. Sometimes they just have to learn in different ways. Excellent post! I very much agree with this. 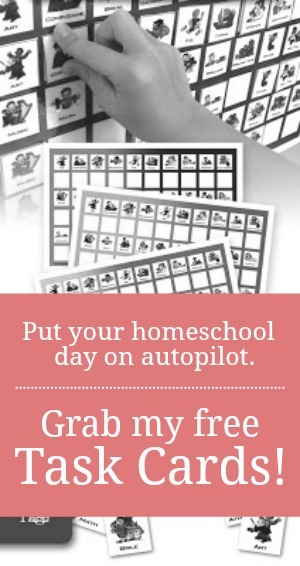 Homeschooling mom needs a different teacher who can really help your kids to learn in a different manner. At the end of the day they are professionals who better know how to grow a child as a successful student. So very well done. Your point is true and well written, I enjoy your writing.